Montana Frameworks & Gallery now featuring "The Abstract Fly Collection"
My "Abstract Fly Collection" is now available in the Flathead Valley. 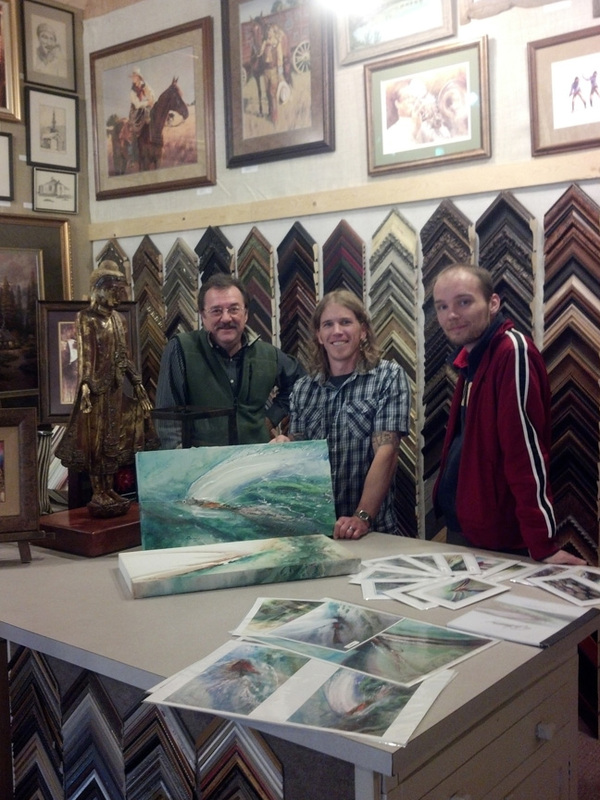 I'm happy to say that I'm now a featured artist at "The Montana Frameworks and Gallery" in Kalispell, Montana. Jake Russell will be featuring a selection of Original Canvases, Limited Edtion and Signature "Open" Edition prints on paper and giclee LTD Edition prints on canvas. We had a great visit and I'm excited with the pieces he chose for his presentation, the work will be featured during the Holidays this year, with a Holiday Art Walk planned for Friday Dec.7th. The Gallery has several options in price points and formats available from the Fine Art Note Cards to a couple of different prints to large format canvases. 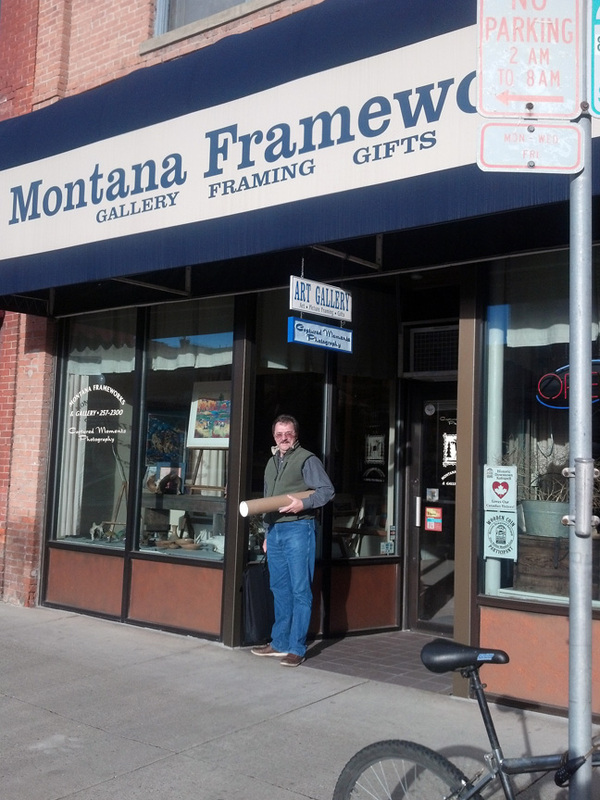 The Gallery is easy to find, in the Heart of the Flathead Valley, on Highway 93 as it maps right through Kalispell as Main Street. Stop in and say hi to Jake and the crew and check it out. We'll be featuring art works from my other Collections in the months ahead as well. New Year & New Stuff! It's always a good idea to start the new year off with new ideas and positive moves. So I've taken what I've learned in this past year, streamlined it and refined it a bit to make things with my online biz simpler and more effective. Here's some things I learned, I wanted my new website last year to be cool, with a wiz bang Flash based format so I could have lots of slide shows and cool music and stuff. Was it cool? you bet, did it work well and help my Biz, NO, the Flash format was huge mistake, with the proliferation of smart phones, pads, notebooks and devices the flash wasn't readable by them or Google or Yahoo etc. talk about shooting myself in my foot, geeeze! So we took the basic premise of the web site back to a static format, with the help of Network Solutions, we've got our new 2012 version of www.tomhansonarts.com if you've gotta moment, you should check it out, it's nice! One other thing you'll notice, is I removed the web store for the time being, in this format I've found using E-Bay as my web commerce site for my LTD Edition prints is the handiest and most cost effective way to go for now. I'm easy to find, just key in Tom Hanson Prints or Tom Hanson Arts, to the search and you'll go right to them, click here to see the link, E-Bay. Also, if a customer is interested in purchasing Note Cards or placing custom orders for art, they can contact me here at the studio and we can place phone orders with the major credit cards. So much for the Biz stuff, what about new art? I've been busy in the studio and have some new pieces I'm finishing up on, pictured above is a new canvas of Giant Springs, a major landmark in my home town of Great Falls, MT. I'm also finishing up a nice piece of Mirabeau Falls here in Spokane Valley, I'll have images of that piece in my next post. I'd like to thank all my friends, family and customers for making 2011 such a great year, and hope that 2012 will be a terrific year for us all. Best Wishes to you all! A thought to keep in mind for 2012, buy local, support your small businesses, support your local artists and the arts! If we don't... who will? All art works Copyright Tom Hanson 2011. Awesome Inc. theme. Theme images by billnoll. Powered by Blogger.